Ex-girlfriend of Detroit man who walked 21 miles to work each day demands cut of $350K given to him in crowdfunding campaign. 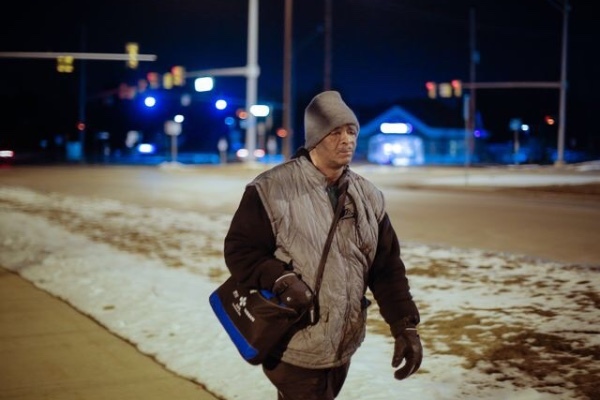 You may remember the heart-warming story of James Robertson, a Detroit man who received tons of help from strangers when news outlets began reporting on his staggering commute of walking 21 miles round trip to and from work. Robertson's life changed forever when donors raised more than $350,000 for him. Now, Robertson's ex-girlfriend, who also happens to be his former landlord, is demanding $50,000 for home repairs that she claims are necessary because he was a slob. Since receiving the huge sum of money, Robertson has moved into his own place in the suburbs and filed a restraining order against his ex, Tanya Fox. Criminal defense attorneys Heather Hansen and Eric Guster appeared on "Fox and Friends" to weigh in on if Fox has any legal right to Robertson's money. Hansen said Fox might have a case, as she was with Robertson for 15 of the 16 years he was doing his lengthy walking commute, supporting him and doing all the things that a partner does. Additionally, if Robertson indeed promised her $50,000, as she claims, he may be held responsible for paying up on that promise. Guster, on the other hand, said, "This is why she's the ex-girlfriend!" "When money comes into play, people change. And she wants a piece of his pie," Guster stated. "And lucky for him, Michigan outlawed common law marriage in 1957, so she doesn't have a leg to stand on." He explained that if they were married, then Fox would be entitled to Robertson's money. Hansen agreed that Fox has a tough uphill climb and ultimately is very unlikely to get any of the money.